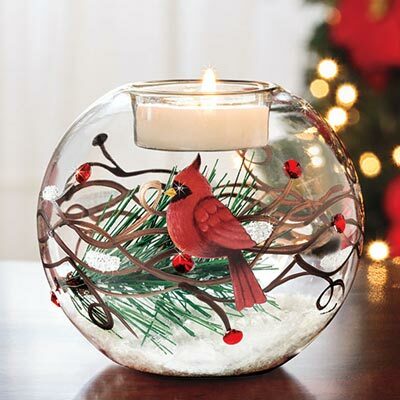 A tealight warmly glows inside, this unique, handblown glass Cardinal Tealight Holder (tealight not included). A faux pine branch and snow inside accent a beautiful, hand-painted cardinal on the outside with a sparkling red crystal. 5" dia., 4"h.